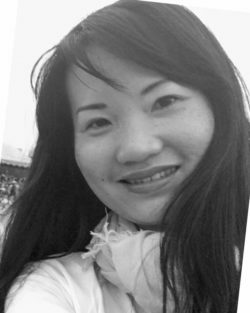 Stephanie Su’s research interests include global modernism, historiographies, the history of collecting and exhibition, Sino-Japan relationship, and the materiality of colours. Her long-term research goal is to reconstruct a more interconnected, more globalised history of East Asian art by exploring the transmission of ideas and objects across East Asia and Europe. At the Sainsbury Institute, she is working on a project that examines the impact of synthetic dyes in the production, circulation and aesthetic expressions of Meiji Japanese prints. Bringing together interdisciplinary approaches to art history and conservation science, her project aims to renew our understanding of Meiji culture and changing colour sensibilities in Japan. Her publication has appeared in academic journals and exhibition catalogues, including “Status of the Field: Overseas Scholarship on Modern Sino-Japanese Artistic Exchanges” in Passing Through Fusan: The Reform of Painting by Chinese Artists Studied in Japan (upcoming), “An Opened Toy Box: The History of Japanese Art by Tsuji Nobuo,” Dushu (Feb 2017), “Recent Trends and Future Directions in Overseas Chinese Art Exhibitions,” in Quarterly Journal of Henan Art Museum, “Translating History Painting: Xu Beihong and Confucianism in Modern China,” in Un Matîre et ses Maîtres: Xu Beihong et la peinture académique français (Beijing: Xu Beihong Memorial Art Museum, 2014), “Classicising Creative Prints: Yamamoto Kanae in France,” in Anne Leonard, ed, Awash in Color: French and Japanese Prints (Chicago: Smart Museum of Art, 2012), and among others.